I thought I would have time to tell you all about tentative opening dates, but most of the time they are wrong, based on early snowfalls (like this year) or warm fronts. I will say that Brighton Ski Resort is OPEN for business (earliest in 15 years) with a new and improved Terrain Park as well as a new Majestic Quad. Can I get a hell yeah?! Let’s katchup! That loveable highflying skier who is World Champion officially became legal to attend his own party. Tanner Hall, who was added to Park City Mountain Resorts All Stars celebrated at Club Naked with the premier of WSK1106. One thousand guests were invited to watch the screening projected on the outside of the club with reruns inside and Freeskiing VIP inside. Makes you wish you had a 21 bash to match his. The Manhattan in downtown Salt Lake has hosted many parties in its time. They even had Frank Sinatra over for an evening. But on Nov. 4, they will be hosting a party and photo contest. The evening is a two-part party. The first is a party to kick off the season with good people and great prizes. The second is to have a contest for all the local snow photographers and show some of their work to be judged. Borge Andersen is the leading photo development office in Utah and is kicking down $1000, among other prizes, for the first place photo. Ten photos in total will be displayed anonymously and a guest judges will choose a winner. Sponsored by Babylon Down Entertainment, Burton Snowboards, TechNine, Smith, Red Bull, SLUG magazine, and Park City Mountain Resort. 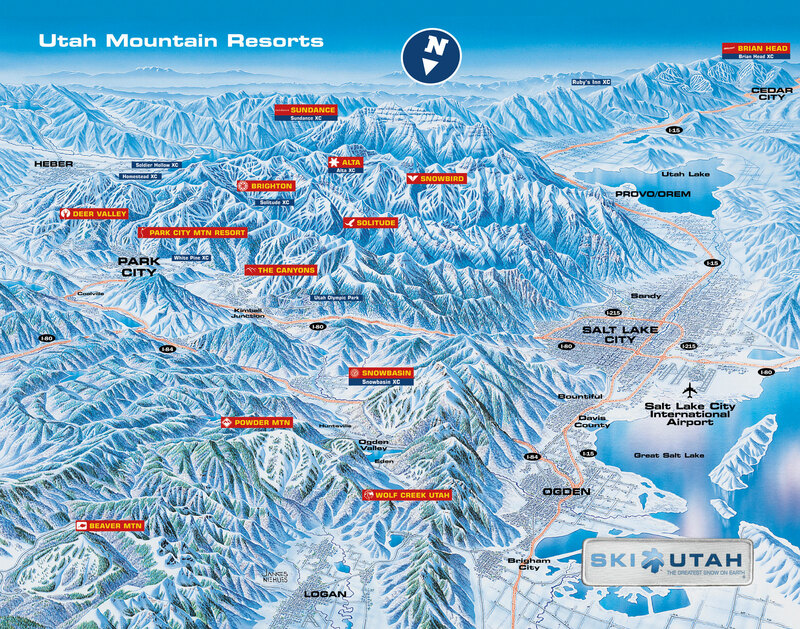 ALTA SKI AREA: Things are changing slowly up Little Cottonwood Canyon, but there is progress. 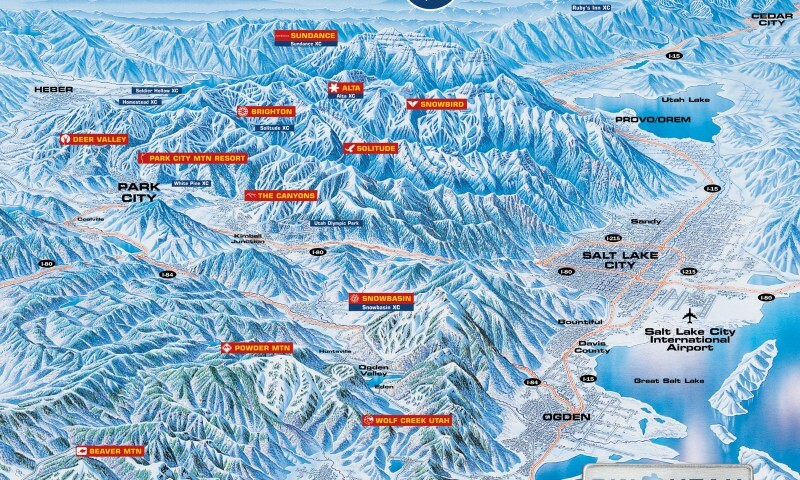 This summer Alta replaced the old Collins and Germania lift with a 6,300-foot-long Collins Lift. In addition, Alta opened its first Terrain Park last spring and has since expanded The Park just off the top of the Sunnyside lift and offers small and medium jumps, a luge, a box and four rails. BEAVER MOUNTAIN: Utah’s best-kept Secret Stash has remodeled the Ski Shop for 2004-05. Also look for more elbowroom off of Beaver’s triple chair, where an extensive widening project has improved the existing runs. Not in the same way the Bush Administration wanted to thin out forest, though. BRIAN HEAD RESORT: Brian Head has the same elevation as the Wasatch Resorts, but is only three hours away from Las Vegas. Brian Head expanded its freestyle offering for the 2004-05-winter season with three large terrain parks (beginner, intermediate and advanced) featuring over 25 jumps, rails and fun boxes. Riders will also have a 364-foot-long, 12-foot-high half-pipe available. Tools and benches are placed at the top of lifts for easy tweaking before your run. BRIGHTON RESORT: Remember the two-man chair that ran over the Brighton Terrain Park that almost executed our buddy who wasn’t paying attention while loading? Well, that cursed chair is now getting ready to take out locals at Big Sky, MO while the new Doppelmayr CTEC fixed-grip quad is ready to whisk riders safer and faster to the top of the Terrain Park this winter. The new lift is named after its predecessor and has been dubbed the “Majestic Quad.” Installed in 1955, Majestic was the first double-chair lift in the intermountain region. The Park is also boasting an additional 15 new rails, lights and short cuts to one of the greatest parks on earth. THE CANYONS RESORT: The Canyons is so big, there is no way you could ride it all in one, two or three days, but you could give it your best. That’s why The Canyons is offering a “buy two or more days of skiing or riding and get an additional day on the slopes for free. PARK CITY MOUNTAIN RESORT: Named “Terrain Park of the Year” by Transworld Snowboarding, skiers and riders have plenty of options in the Resort’s terrain parks with more than 50 rails, fun boxes and jumps throughout the parks. The newest park will be built under the lights on Payday run for after-dark riding. The new satellite radio system in the Pick N Shovel Park will be dropping the fattest wax while you’re throwing your sickest steez for the bros. Three of Snowboarder Magazine’s “Top 10 Riders in the World” joined the Park City All Stars team. New to the team, Phenomenon Shaun White and regulator Marc Frank Montoya join veteran Jeremy Jones as members of the impressive team. The All Stars provide input on the Resort’s terrain parks and pipe that help keep Park City Mountain Resort a leader in the industry. This year’s lineup of Park City All Stars include White, Jones, Montoya, Tanner Hall, Pep Fujas, Jessica Dalpiaz, Chris Engelsman, George Oakley, Chris Coulter, John Symms and Ashley Battersby. SNOWBASIN RESORT: Not one to be left out of the new-school trend, Snowbasin added a superpipe for 2004-05 including the state’s only surface lift dedicated just to pipe users. The 340-foot-long, 17-foot-high superpipe will be located at the bottom of the Wildflower Downhill Course. Snowbasin is also the only resort to have a teeter-totter rail and oriental rugs for welcome mats for snowboarders. SNOWBIRD SKI & SUMMER RESORT: Yet another superpipe added to Utah’s roster of improvements for 2004-05 at Snowbird. Located on the Big Emma run next to the intermediate Big Emma Terrain Park, the new superpipe is 340 feet long and 50 feet wide with an additional sound system to frighten unsuspecting snow bunnies. It was constructed with dirt over the summer to enable an early opening. Other park and pipe upgrades include improved rails and boxes in the Baby Thunder Terrain Park. SOLITUDE MOUNTAIN RESORT: Solitude has finally completed The Village at Solitude and improved on hill snowmaking to ensure an early season. With the new village core complete, emphasis for improvement has shifted to the mountain. Preparation this summer for construction in 2005 on a new 12,000-sq.-ft. base lodge and high-speed quad in the Moonbeam area is well under way. The planning commission approved Tyson’s ramp; however, there is still one more City Council Meeting on Oct. 27 to give final approval. Tyson just participated in the Globe Wild Card series in Boulder, Col., and won second place in the Grom division. Go Tyson!